R. Budd Dwyer (48 years) served as a treasurer for the state of Pennsylvania from 1971 to 1981 as a Republican member. 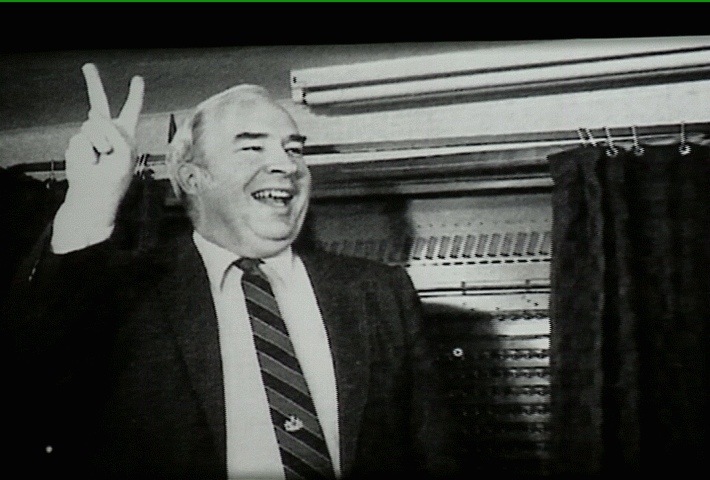 On January 22, 1987, R. Budd Dwyer scheduled a press conference in the Pennsylvania state capital of Harrisburg, which people assumed was pertaining the announcement for his resignation as the Treasurer of Pennsylvania. However, after he concluded his speech, the entire press conference that was present there received the shock of their lives: Budd Dwyer killed himself by placing a gun in his mouth and pulling the trigger. What led him to take this horrifying decision was a series of events that unfolded which ultimately spun a web of bribery against him. In the late 1980s, Pennsylvania was embroiled in an accounting crisis that started with the employees of the Commonwealth overpaying millions in FICA taxes. The state legislature began to search for an outside accounting agency to calculate the appropriate refunds and the $4.6 million contract was eventually given to a Californian-based firm, Computer Technology Associates, which was owned by Harrisburg native John Torquato, Jr.. Although it was later disclosed that he managed to secure the contract through a series of well-channeled bribes. After a few months into the investigation led by the US Attorney, it got proved that John Torquato paid $300,000 in kickbacks to Budd Dwyer (the treasurer of Pennsylvania) in order to grab the contract. Two of the company’s officials testified that they had won the contract by offering a $300,000 payoff to Mr. Dwyer and one testified that Mr. Robert B. Asher (a former state Republican chairman) found out about the offer and ordered the money to be diverted to the Republican State Committee. Quite predictably, Dwyer refused all the allegations and denied to resign from his position. In December of 1986, he was found guilty of racketeering, bribery, fraud and conspiracy and, subsequently Budd Dwyer had to face upto 55 years in prison. He wrote a letter to then President Reagan, in December 23, 1986, requesting him to minimize his sentence, which the President had refused. On January 22, 1987, a day before his sentence was to be delivered, Dwyer called for a press conference and read couple of papers through which he criticized Acting United States Attorney James West, who prosecuted him; former Governor Thornburgh, with whom he had been at odds, and Federal District Judge Malcolm Muir, who presided at his trial. He also urged that what had happened to him had made him certain that innocent people were convicted and executed. He called three aides to his side and handed each a sealed envelope. One contained instructions for funeral arrangements. One was Mr. Dwyer’s organ-donor card. One was the letter to Governor Casey in which Mr. Dwyer recommended his wife of 23 years as his successor. He then pulled out a .357 Magnum and cautioned everyone to stay away to avoid being hurt. Before anyone could reach Mr. Dwyer, he put the barrel of the pistol in his mouth and pulled the trigger. He was quoted as saying-“Good bye to all of you on the count of three”. In 1995, Filter used Dwyer’s public suicide as the inspiration for “Hey Man, Nice Shot,” which garnered a fair amount of radio play. A 2010 documentary was made on the life of Budd Dwyer titled “Honest Man: The Life of R. Budd Dwyer,” by James Dischberger in which a case was made that Dwyer was indeed innocent, and died knowing he couldn’t live with the reality. Interviewed in the film was William Smith, who admitted that he had lied under oath in order to receive a reduced sentence, and felt responsible for Dwyer taking his own life.